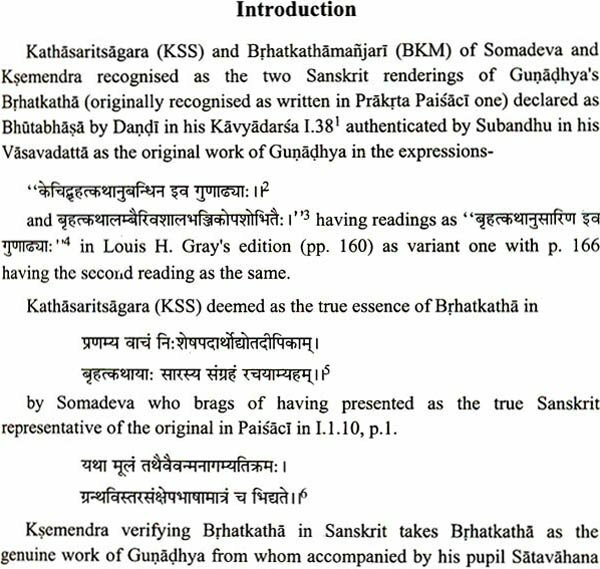 The Brhatkatha Sloka Samgraha of Buddhasvamin considered to be one of the Sanskrit redaction of the Brhatkatha of Gunadhya in Cantos 28 displays altogether a different norm of descriptive delineation as compound to the contents of the other two versions e.g. 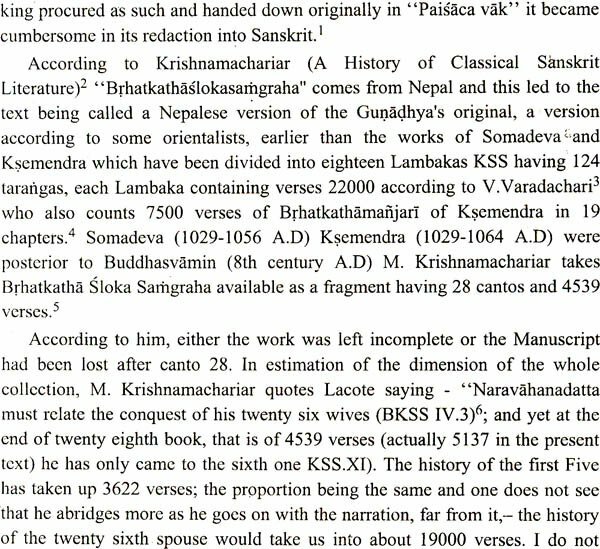 Brhatkathamanjari of the prolific writer Ksemendra and Somadeva's Kathasarit Sagara both having eighteen Lambakas subdivided into gucchas and tarangas respectively. 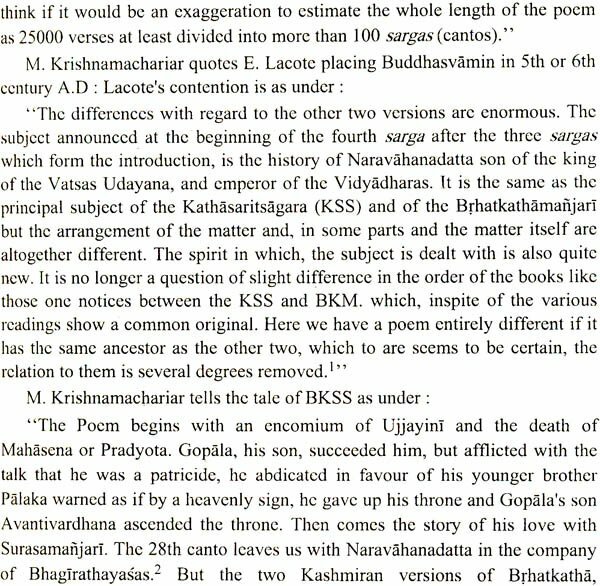 The poem begins with an encomium of Ujjayini and the death of Mahasena or Pradyota. 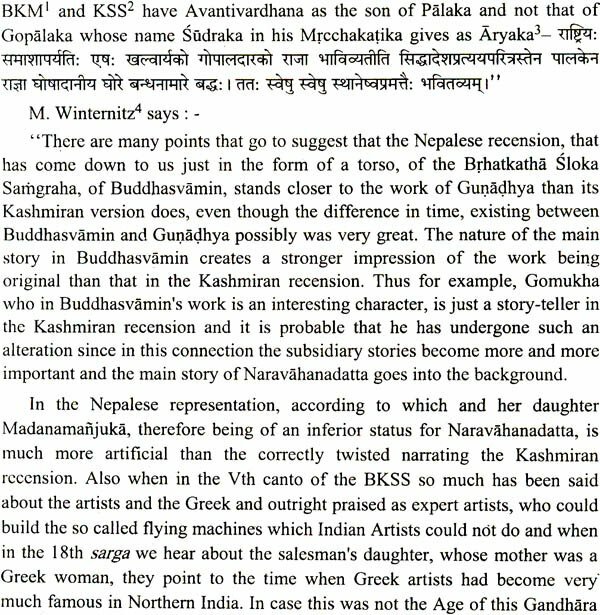 Gopala his son succeeded him but afflicted with the talk that he was aa patricide he abdicated in favour of his younger brother Palaka warned as if by a heavenly sign, he gave up his throne and Gopala's son Avantinvardhana ascended the throne. Then comes the story of his love with Surasamanjari. The 28th canto leaves us with Naravahanadatta in the company of Bhagirathayasas. 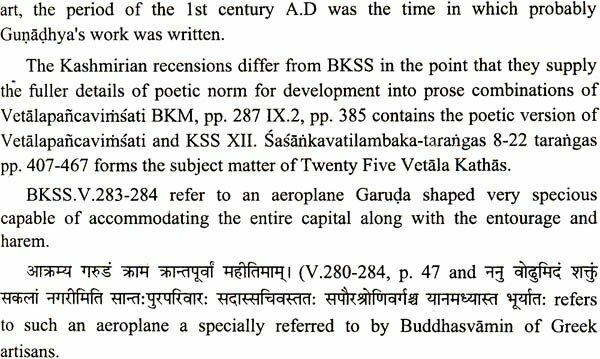 The Brhatkatha Sloka Samgraha of Buddhasvamin was out of print for many years and there was a great demand for it among Sanskrit scholars. 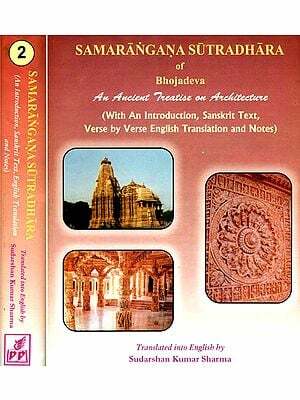 The present edition contains not only the original Sanskrit text but also includes an authentic English translation with various notes useful for schorlarly world. Free Shipping. Delivered by to all international destinations within 3 to 5 days, fully insured.